Welcome to the Foster Parent Survival virtual classroom, where you can take training courses specific to foster parenting. Learning about the history of Indigenous people in more detail. I was unaware of most of the detail of Residential Schools and the true meaning of reconciliation. Workers need to take this course! Could not have been done any better! She shoots from the hip with conviction! Landy, God bless you…. 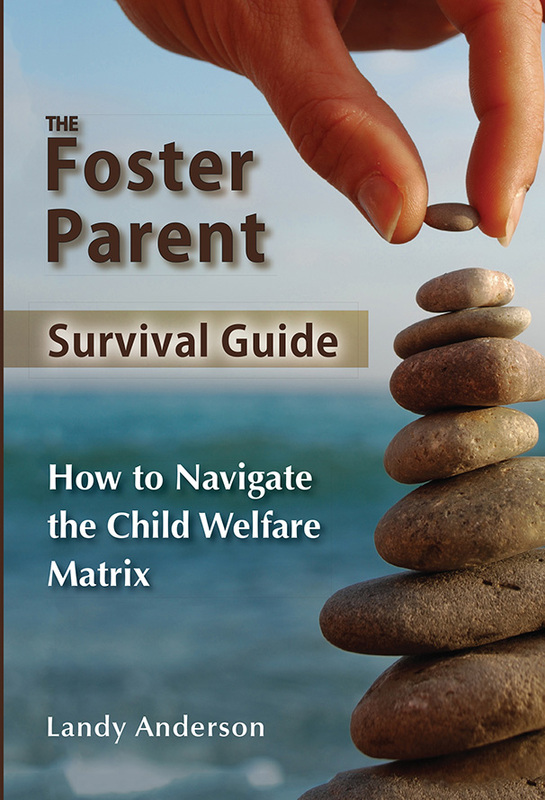 foster parents need your book! Landy Anderson is a former Foster Care Supervisor with 27 years experience in child welfare. She has worked as a child protection worker, supervisor, and manager in several Children’s Aid Societies in Ontario. Landy is a strong advocate for foster parent rights and their inclusion as equal members of the service team. She is a dynamic speaker and has developed and delivered training in critical issues such as Behaviour Management, Investigations in Foster Homes, Foster Parent Advocacy, Customary Care, Placement Stability, Aboriginal Child Welfare and a Foster Parent’s Role in Permanency Planning for Aboriginal Children. At the end of the session, participants will prepared to attend Ceremony with their children. In this informative session, the foster parent will gain a comprehensive understanding of the process to conduct a Child Protection Investigation in a Foster Home. At the conclusion of this session, the foster parent will walk away with a clear understanding of the following: essential principles of the foster home investigation, roles of the participants, supports, Foster Parent Rights, case flow of the investigation, the decision making process, malicious complaints/false allegations, impact of the criminal investigation, outcomes, verification and closure. During this informative session, participants will review the major characteristics of Childhood Anxiety and subtypes of Anxiety defined by the Diagnostic and Statistical Manual of Mental Disorders with particular attention to: Separation Anxiety Disorder (SAD), Specific Phobia, Social Phobia, and Generalized Anxiety Disorder (GAD). Signs and symptoms of Anxiety based on physical, cognitive and behavioural issues will be explored. Common developmental fears will be distinguished from abnormal psychopathology. Possible developmental pathways/causes for anxiety and the influence of cognitive deficits, family impact, temperament and environmental factors will be discussed. At the end of the session, participants will understand the invisible nature of the symptoms including effective strategies to manage the disorder. When foster parents open their homes to a foster child, they also open themselves to criticism. Somehow everyone involved with the child is an “expert” and because everyone is an expert their expert opinions may not always match. In essence, the multi-disciplinary approach is a breeding ground for conflict. The potential for conflict infers that conflict already exists. A foster parent’s ability to manage the three C’s… Conflict, Chaos and Crisis is a test of their character and an indication of their ability to be a strong partner or a leader. In order to survive foster care, it is critical that all members understand the role that the three C’s plays in our day to day work, which includes defining conflict, chaos and crisis and exploring how our actions contribute to improving or worsening matters. In child welfare, it’s crucial for team members to work effectively, united in their vision, mission and purpose to achieve good outcomes for the children and families that we serve. Understandably, success is measured in outcomes, adding scrutiny and pressure to the child-in-care team to produce good results. In order to create a Role Supportive Culture, the team needs to understand each other’s roles and responsibilities and support other people’s roles and responsibilities while fulfilling their own. In a Role Supportive Culture, team members must have a genuine interest and willingness to learn about each other. The objective of this informative session is to have interdepartmental participation and authentic conversations about the challenges in creating and maintaining effective teams in a child welfare setting including a frank discussion about the implications and systemic barriers to engaging all team members. What is a team and how do you build a team? What does belonging to a team mean? At the conclusion of the session, participants will understand the critical importance in preserving culture for an Aboriginal Foster Child and how to develop a cultural plan to support this. At the end of the session, participants will gain a unique perspective in the complexity of conducting and supporting Foster Parents during Foster Home Investigations and Complaints – leading to a better understanding of how to effectively provide support during this potential crisis and ease the trauma that foster parents experience after undergoing a formal child protection investigation. Emphasis will be placed on the ability to demonstrate reflective leadership as part of a team, taking into consideration the pros and cons of teamwork and the functional abilities of teams. Communication and conflict management styles as factors to teamwork will be explored. Engagement strategies including contributors, tools and barriers to engagement will be discussed. At the end of the session, participants will have a better understanding of how to engage and motivate staff. In this brief and provocative session, participants will learn about Indigenous Peoples in Canada and the history of colonialism. Typical stereotypes of Indigenous peoples will be explored. The implications of our Canadian history and its current-day impact on the Indigenous community will be reviewed. Emphasising the current reconciliation efforts and inviting participants to take responsibility in Canada’s history by exploring what reconciliation is and what it means to them. At the end of the session, foster parents will discuss strategies to help their children cope while living with foster children. In this informative session, participants will focus on the scrutiny of fostering and what it means to live up to the standards of a “State Parent” bound by Society’s values, rules, policies, judgment and legislation. The danger of applying a “One-Minute Assessment” to form an opinion on a foster parent’s capacity/character will be discussed. The notion of adapting to “Life in a Fish Bowl” using strategies to manage allegations and navigate community relationships will be explored. Each stage of development will be examined. At the end of the session, participants will have an opportunity to self-reflect and consider areas for their own professional growth and development.